A few weeks ago I joined Simone and Ashley at the Heath House, Tean, for their wedding.  Ashley booked Vision Wave Weddings as a surprise for Simone with only a few weeks to go before their big day. Upon my arrival at the Heath House I headed up to Simone to surprise her and let her know that Ashley had booked a wedding video – there were a few tears along with many more surprises. Simone is quite a big (and I mean HUGE) fan of Beauty and the Beast so they had elements of this theme running throughout their day. Including another surprise from Ashley who had got Belle to sign a book for Simone, which he presented during his speech. The speeches themselves were fantastic, with Simone’s dad, Stephen, playing plenty of embarrassing home videos of the young Simone, much to the enjoyment of all of the guests! Accompanying this was the speech from one of Ashley’s Best Men, who had put together a heartfelt video message from Ashley’s Grandfather – there wasn’t a dry eye in the room. The fantastic wedding breakfast was closely followed by an amazing firework display set to a medley of Disney theme songs – definitely the start of a tale as old as time for Simone and Ashley.